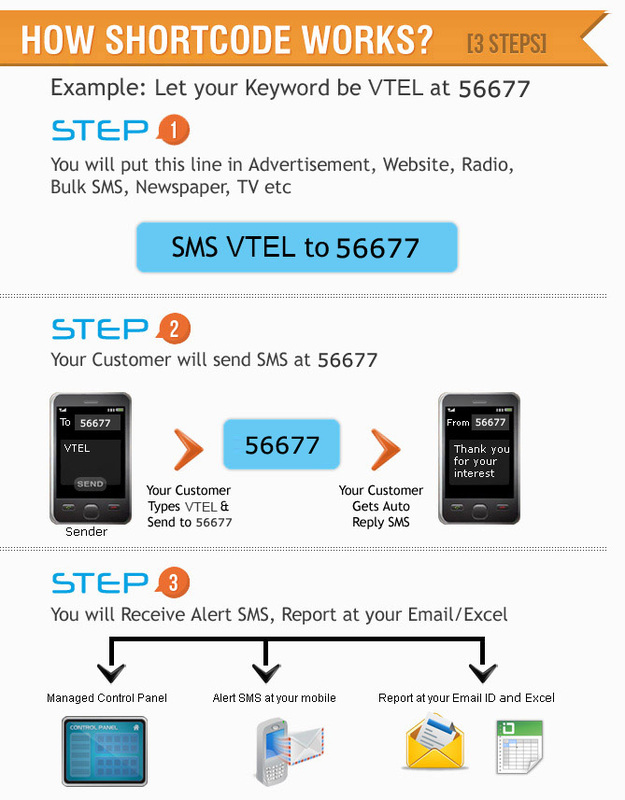 A SMS Short Code is a 5 digit number (Like 56070 / 56677 By vtel.in), provided by mobile network operators, on which data (SMS) can be sent by subscribers of the mobile operators. We deal in premium short code service only. SMS Polling and Voting application allow user to vote for a participent. Administration can name event, can set start and end date of event. Can set the name and code for participents. User will send a sms at shortcode to Initiate a Quiz. in reply sms he will receive a Question. He will send a reply sms with answer. If answer will correct than he will receive a second question otherwise quiz will be close.